Dobšiná is an old mine town located in the Northwest of Rožňava region, spreading over a deep valley at the borders of the Slovak Ore Mountain and the Slovak Paradise National Park. The two theme routes – the Slovak Gothic route and Iron route cross the town. The town is considered to be the gateway to the Slovak Paradise National Park from the South. Near by the town is famous Dobšinská Ice Cave and the Slovak Carst. Dobšinský Hill is a regular up-hill car race competition organized annually. The web site of the town is: www.dobsina.sk. There is a town of Krompachy, located in Hornád Basin at the crossing point of three mountain ranges – Levočské Mountains, Branisko and Volovské Mountains. The industrial town with the population of 8 800 citizens has a couple of historic monuments to be seen right in the town centre: a classical Roman-Catholic church of Saint John the Evangelist from 1774, an Evangelic church from 1883, a chapel of Saint John of Nepomut from 1776 or a baroque manor-house from the 17th century (a pension today). The city is a tourist gateway to surrounding mountains and valleys. The skiing lovers will surely appreciate a ski centre Relax Center Plejsy. The town web site: www.krompachy.sk. A royal mine town in the past and today’s “capital” of Hnelec Valley is Gelnica town with the population of 6 200 citizens. A unique city is often forgotten by tourists. Let the spirit of the history talk when walking down the narrow streets of old town lined with the splendid baroque houses owned by the former mine owners or when visiting the Mine museum. Once you are in the town, check a mine educational pathway, that will take you to the Thurzovské lake, Don’t forget to visit the mine adit Joseph and the ruins of the Gelnica castle above the city. Hiking and cycling lovers will surely assess hiking and cycling routes to Kojšovská Hoľa and Krompašský vrch. The website of the town is www.gelnica.sk. The village was established at the end of the 13th century as a mine village. Today, the population of the village is 930 citizens. The biggest tourist attraction is the castle with English gardens. The castle used to belong to aristocratic Andrassy family. The castle has a permanent exhibition presenting the Andrassy family, their lives, jewellery and a library with handwritings from the 15th to 20th century. The website of the village is www.obecbetliar.sk. 522 citizens live in the village located only 5 km away from Spšská Nová Ves. The most valuable historic monuments of the village is an early gothic Roman-Catholic church of Saint Marry Magdalene from the 13th century and a Chapel of Mary Magdalene who is also a patroness of the village. The healing spring is right next to the chapel. The village is an excellent choice for cyclists, who will find a couple of cycling routes starting in the village and ending up in Levoča, Domaňovce or Odorín. The picturesque village, with 258 citizens, is an important tourism centre in the South of the Slovak Paradise. It’s located right next to Palcmanská Maša river dam, below Gačovská Rock and Geravy Plateau. The village is well connected by public buses and trains servicing even the other surrounding villages. Many restaurants and places to sleep over are available. Ski and boat rentals are available here. Hiking in the Slovak Paradise National Park, fishing, water sports on the river dam and winter skiing are the most favourite touristic activities. The website of the village is: www.dedinky.eu. A former mine village is located in Hnilec Valley in the South of Spiš. It is one of the longest villages in Slovakia. Surrounding mountains offer many winter and summer sports activities for tourists. The Mine educational pathway will guide you along the technical monuments presenting the ore extraction in the past. Cycling lovers find the area very attractive for its numerous cycling routes. The ski resort SCM Mraznica is here for you in the winter season, when you can try out very good ski slopes. For cross-country skiing lovers, a nearby Grajnár saddle and Novovestská Huta are ideal options, which have a lot of marked, machine made tracks. The website of the village is: www.obechnilcik.eu. The village is, together with Podlesok and Píla touristic resorts, the most famous start point to the Slovak Paradise. The village has a lot to offer: accommodation, restaurants, and many more services such as horse-riding at local farms and providing the touristic information in two information centres. You can get to the village by land transport from Spišský Štvrtok or you can use a local airport for small aircrafts. More information about the village can be found at www.hrabusice.sk. The village, with 2 276 citizens, is located in the Western part of Hornád Gorge, next to the Brusník River. The village is, together with Letanovský Mlyn, a tourist centre, a favourite gateway to the Slovak Paradise – to Tomášovský View, Prielom Hornádu Canyon, Kláštorská Gorge and Kláštorisko. The bus and train commuting is well connected to the surrounding areas. For more information visit www.letanovce.eu. 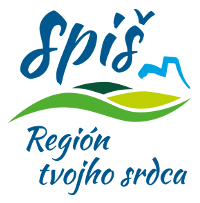 The village with more than 4 500 citizens, is one of the most populated villages in the Spiš region. It’s only 6 km away from Spišská Nová Ves. A renaissance castle, which belonged to aristocratic Mariassyovci family, exposes the historic furniture and it’s the biggest attraction in the village. A summerhouse Dardanely, with a rare exposition of keyboard musical instruments and a concert hall, is very popular among the tourists too, and it is in the castle’s neighbourhood. Tourists can see the ruins of Markušovce castle from the 13th century right above the village at the hill top. The other attraction is a rare rock formation Markušovce Rock Mushroom and stunning Markušovce Valley. If you follow a pathway in the valley, it will take you to the Hnilčík village. The website of the village is: www.markusovce.sk. The typical mountain village is, a couple of kilometres long, located in the valley of the Hnilec River, at the borders of the Slovak Paradise. Cycling and hiking lovers can choose from many options. Summer activities are available by the nearby Palcmanská Maša water reservoir, while there are 2 ski centres in the winter time: Ski Mlynky-Gugel and Mlynky-Biele vody. Marked trails for cross-country skiing are also available. 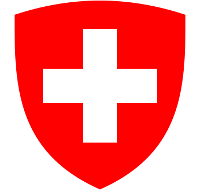 There are 2 pensions: Salamander and Pod Guglom and restaurants as well. More information can be found at www.mlynky.sk. A former important mine area is a popular tourist place because of its beautiful nature today. Nature lovers can discover beautiful places such as Poráčska Valley, Galmus Mountain, Šarkan Hole – a mysterious cave, Vysoký vrch (High Peak) – vista points, Bukovec, Biela skala (White rock), Kňazovka and Slovinská skala (Slovenian Rock). Ski Brodok resort is here for skiing lovers who can enjoy the skiing as fully as possible. The citizens are mostly Ruthenians, with their unique culture and temperament, who give you the feeling of being welcomed in their village. More information can be found at www.porac.sk. The village with only 324 citizens is a pretty small, located at the foothills of Branisko mountain range. The village has become famous for its mineral water spring. It’s a favourite spot for tourists looking for a gateway to the Sľubica peak – the vista point. A beautiful gothic Roman-Catholic church from the 13th century, with renovated interior with frescoes from the 14th century, is a popular monument to be visited as well. More information is available at www.slatvina.eu. The biggest village in Slovakia with the population of 8 868 citizens can be visited any season of the year because of its close location to the Slovak Paradise. It’s, together with tourist resorts Košiarny briežok (Kožiarny hill) and Čingov, the Northeast gateway to the Slovak Paradise National Park. The pathway trails starting at Smižany can take you to Prielom Hornádu, Tomášovský View, Kláštorisko, Ferrata Kyseľ and Sokolia Valley. 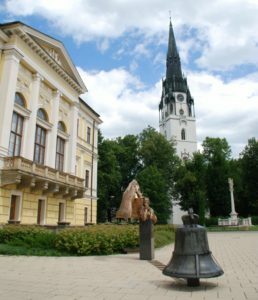 A couple of cultural-historic sightseeings are here as well to be seen such as a Roman-Catholic church of Povýšenia svätého kríža, a mension – a former salt office, where a tourist information centre is located now, as well as the Ethnographical museum. The first hand-written record about the village is from the 12th and 13th century which makes it one of the oldest villages in the Southern Spiš. Only 40 min walk can take you to one of the most remarkable observation points in the Slovak Paradise National Park – Tomášovský view, therefore it’s a favourite gateway for tourists. A popular tourist resort Čingov is a part of the Spišské Tomášovce cadastral municipality. For more information go to www.spissketomasovce.sk. Spišský Hrušov is located in the Hornád Gorge, 12 km East of Spišská Nová Ves. The village has beautiful cultural-historic landmarks such as the original renaissance Mariássy mansion from the end of the 16th century, which is being used as a mayor’s house today and a Roman-Catholic church of Saint Catherine of Alexandria from the 13th century. A Miloj village, which is only a church tower of the church of Saint Stanislav from the 13th century today, belongs to the cadastral municipality of Spišský Hrušov as well. It’s a very photogenic and a favourite touristic spot. You can find the accommodation and the places to have a snack here. Website of the village is www.spisskyhrusov.sk. Stratená is a mountainous village under Sokolíci and Srnčie Rocks in Hnilec Valley, directly within the area of the Slovak Paradise National Park. Beside of the beautiful natural sceneries, you can find even other interesting sightseeings over here. Long time ago, the village was well-known for its tourism and mostly the iron industry. The Roman-Catholic church of St. Augustine was built by the owner of ironworks, Ferdinand Coburg, in 1909. The pearl of the village is its part Dobšinská Ice Cave with the world-known cave of the same name, which has been ranked among the List of the UNSECO World Heritage. The Stratená Canyon is very popular touristic spot, as well as Havrania Rock vista mountains and Borovniak, Tiesňava Canyon Vallies and Malé Zajfy. You can find private accommodation as well as in various pensions in Stratená and Dobšinská Ice Cave. Numerous restaurant facilities are available here. The web page of the village can be found over here: www.obecstratena.sk. The village of Telgárt is located at the borders of three national parks – the Slovak Paradise, the Low Tatras and Muránska Plateau, at the foothill of majestic, two-kilometer high Kráľová hoľa. The most interesting sighteesing of the village are the technical masterpieces of the railway line Margecany – Červená Skala. The most significant of them are Telgárt and Chmaroš viaduct and the Tunnel of Kornel Stodola, creating the unique Telgárt loop. The railway line is sensitively set into the surrounding romantic nature. That is the reason why it is considered to be the most beautiful one in Slovakia. You can enjoy walking tourism and cycling in Telgárt in summer. The usual touristic destination is Kráľová hoľa, which you can climb by bike or on feet. Less experienced tourists can hike on the beautiful meadows of Besník Saddle, up to the spring of the second longest river in Slovakia – Hron. You can fully enjoy the skiing in Ski Telgárt resort in winter. The village is supporting the development of tourism, the locals as well as visitors can enjoy the natural ice rink in the ski resort, multi-purpose playground with artificial grass, the fitness center inside the cultural house, multi-purpose hall for sport activities. There is a private and public accommodation for up to 500 visitors.